Clips in shirt pocket! 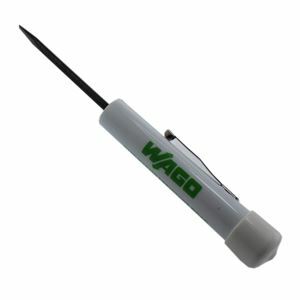 Masquerades as a screwdriver, but is actually for opening terminal blocks on your control system boards. It's like heated seats in your car, once you use this tool to get your wire secured, you'll never be able to use a plain old screwdriver again.